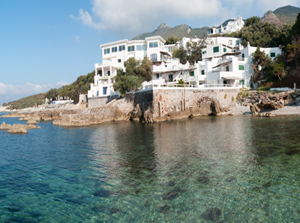 Completely surrounded by the Circeo National Park. A magic place Relax, Sea and wellness. Our Park, which surrounds the building, has an area of about 3 hectares and is covered by a thick Mediterranean scrub, made up of vegetation undergrowth. All this in promentario Circeo a few steps from the sea. Accommodations with every comfort for a relaxing holiday. Rooms dream! from classic to SUPERIOR SUITE. 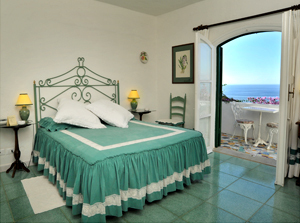 The rooms are furnished with a classic, but with strong references to the Moorish style. Directly overlooking the sea with breathtaking views of the islands. The silence and the beauty of nature will be the backdrop to your holiday. Services to make it even more enjoyable your beach vacation. Holiday with the nature Massages & idrowellness. It features both indoor thalassotherapy seawater heated whirlpool and qualified staff in beauty treatments with products based on essential oils. Everything to make your stay even more enjoyable. The Hotel PUNTAROSSA, is pleased to offer to all of our students and the sports facilities for booking rooms. Whether you want to spend a week to learn the WINDSURFING semplicmente or wish to spend some days in relax while your children are having fun on the waves. A holiday at a great price! Using this page, you can make a reservation directly at Hotel Puntarossa with an advantageous price, offered exclusively through synergies between our school and the Hotel Puntarossa. Managers will be happy to welcome you at their wonderful hotels offering when more nice relaxing can find at our beautiful location. In view of the beauty of the place, very popular tourist destination by visitors, we recommend book early your vacation. Upon receipt of your communication made by the form on the left, the staff will contact the Hotel PUNTAROSSA requiring you data to end your reservation. Please note that at Hotel PUNTAROSSA is also possible to make wellness activities such as: phlebotomy, hiking, walking in the park tours and much more. More details at the references of the site or at our school.